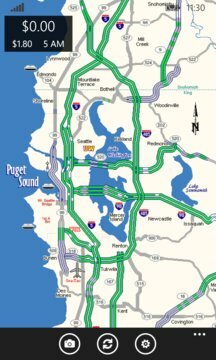 * Highway traffic maps for Puget Sound. 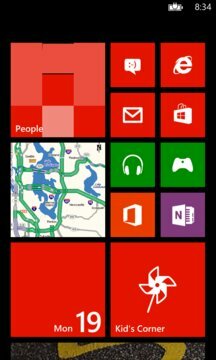 Live tile supported. * Traffic cameras around the Seattle area. To configure your cameras list, click the settings icon on the camera page. * SR520 Toll. Click on the toll box on the main page or select "520 Toll Chart" from the menu to see detailed toll chart with the current toll highlighted. * SR520 bridge closure notices. This does *not* include traffic incidents. Now that boat crossings are blocked by the new bridge, this only covers pre-planned construction closures. Lock screen notification and live tile supported. The app is free and without ads.